Does the Ghost of Josef Jakobs haunt the Tower of London? Tower of London - © G.K. Jakobs 2012. 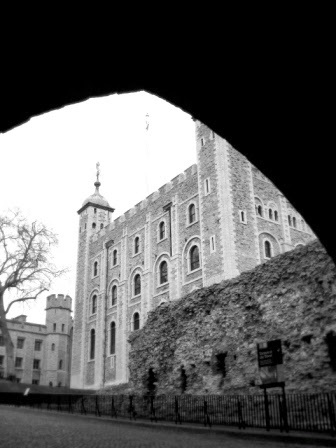 The Tower of London is apparently one of the most haunted places in the world. 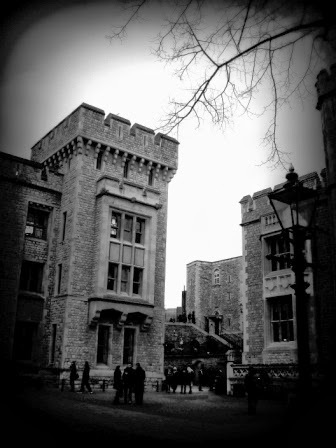 The ghosts of Anne Boleyn, Lady Jane Grey and Thomas Becket are said to wander the grounds and buildings of the Tower. The Yeoman Warders, former soldiers, who are presumably not prone to flights of fancy, have had many ghostly experiences. Some of the on-site soldiers (from the Guards Regiment) have also had ghostly encounters. There are several ghostly occurrences that have been connected with the story of Josef Jakobs. Geoffrey Abbot, a former Yeoman Warder, wrote about several of them. On a cold September morning, around 3:00 am, a sentry was patrolling the front of the Waterloo Block. The soldier got the feeling that he was being watched even though his colleagues were at least 50 yards away. The soldier reached the end of the Waterloo Block, turned around and continued his patrol along the front of the building. Suddenly, within the illuminated foyer of the Waterloo Block he saw the silhouette of a man crouched, watching him! The soldier knew that all of the doors within the Block, both internal and external, were locked. How could anyone be left in the building? The shape moved awayand the soldier used his radio to call out the guard and the Armouries Warden. The doors were unlocked and the squad of soldiers entered the Waterloo Block and gave it a through search. The security devices were checked, every room was checked... but nothing was found. 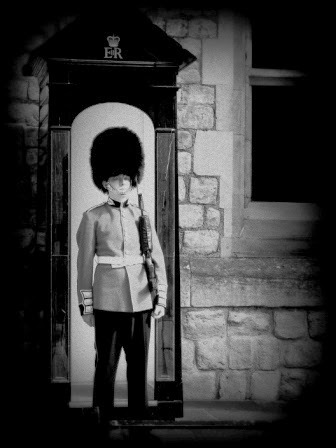 The sentry was questioned extensively by the Officer of the Guard and stuck to his story. The incident was entered into the Report Book as "inexplicable". Several other mysterious events took place within the Waterloo Block around the same time. The upper floor of the Waterloo Block was composed of apartments occupied by yeoman warders and their families. Security was a top priority and all of the residents had to lock the outer doors whenever the entered or left the building at night. During 1979 and 1980, two yeoman warders experienced several disturbing incidents. During the night, they would near loud knocking at the doors to their apartments, yet when they reached the doors, no one was ever there. On several occassion, upon opening their doors, both warders saw that the swing doors at the end of the corridor were moving slightly, as if someone had passed through them. Yet all doors beyond the swing doors were locked. Was it a practical joker? Or something more sinister? On 30 July 1980, a yeoman warder was leaving his flat on the second floor of the eastern end of the Waterloo Block. He closed the door and heard a voice say "Oh - sorry!". Upon turning around, the warder saw a man standing by the swing doors at the end of the corridor, about six paces away. The man passed through the swing doors and left. It was mid-day and staff members from elsewhere in the Tower did sometimes pass through the building. But the warder wondered where the man was going. He followed the route the man had taken and discovered that every door leading off the spiral staircase at the end of the corridor was locked. The warder described the man as wearing an ordinary looking suit and a wartime-type brown pointed trilby hat. Several months earlier, in the early morning of 24 April 1980, two patrolling sentries saw at tall, dark figure at the east end of the Waterloo Block. The soldiers chased the figure down the stone steps leading to the Casemates, the area between the two walls of the Tower, but could find no trace of the intruder. Another sentry had heard suspicious noises at that time, so the guard was called out. A thorough search was made of the area, but nothing was found. A Connection with Josef Jakobs? Geoffrey Abbot, in his book, Ghosts of the Tower, made a connection between the above apparitions and Josef Jakobs. According to Abbot, Jakobs had been held in an upper floor room at the east end of the Waterloo Block, very close to the mysterious man in the trilby hat. "Was he - could he have been - the 'man in the trilby' seen by the yeoman warder? The fact that words were spoken did not necessarily preclude 'him' from being an apparition; phantoms are sometimes quiet vocal; unmistakeable screams have on occasion been heard emanating late at night from the execution site on Tower Green, and ghostly moans have also been reported from other places over the years. Were the knocks on the doors his appeals for help in escaping his prison? Was he the 'crouching man' at the Waterloo Block door who, on seeing an 'enemy' soldier through the window, turned away and disappeared? Could he have been the 'tall dark figure' seen by the two sentries vanishing down the steps to the Casemates - the route which led to the site of the rifle range? And does his spirit frequent this area as well? In 1979 a poodle owned by a yeoman warder's family living opposite, took to staring at the place where the range once stood, barking and growling as if witnessing something only it could see. Whether apparition was that of Josef Jakob [sic] or not, may he, a brave and loyal soldier who died for his country, find eternal peace." Other anecdotal stories claim that Josef's ghost has been seen standing around with bullet holes. Many tourists have commented on this sight over the years, thinking that it was part of an exhibit. Does Josef Jakobs haunt the Tower of London? Josef did have a trilby hat with him when he parachuted into England. He was executed in the miniature rifle range in the Casemates, but so were many of the German spies during World War I. As Hamlet once said: "There are more things in heaven and earth, Horatio, Than are dreamt of in your philosophy." Tower of London, Thomas Bryers. Ghostly Glimpses Through the Fog of War, James Clark, 2011. Ghosts of the Tower of London, Geoffrey Abbott, 1998, Hendon Publishing.